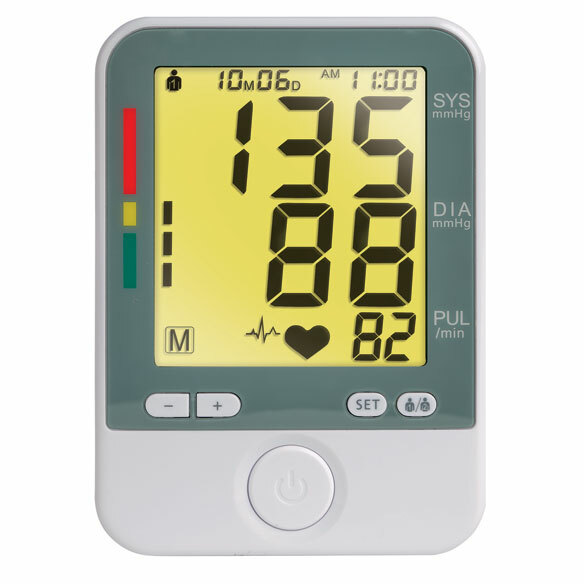 Color changing blood pressure monitor is a simple way to track your blood pressure anytime, anywhere. 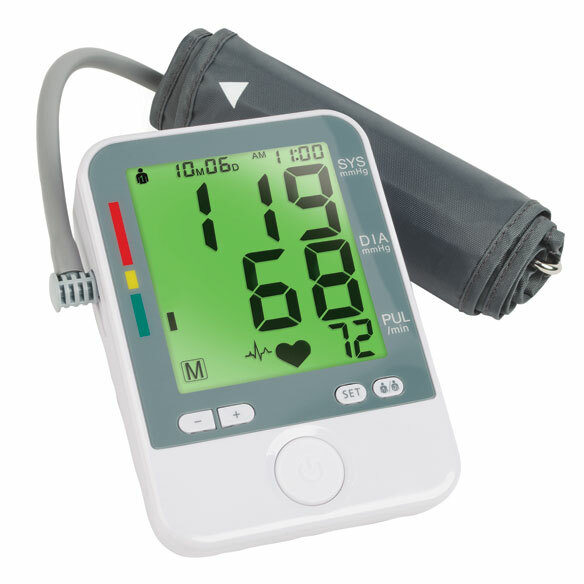 Clinically tested oscillometric monitor displays systolic/diastolic blood pressure and pulse rate at a glance. 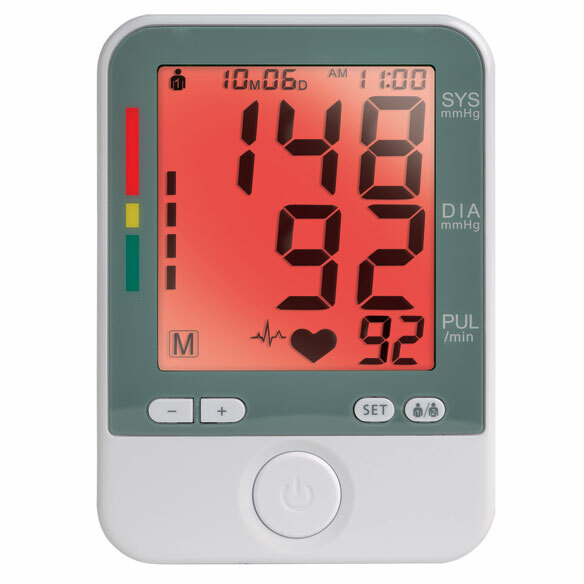 Easy-to-read 4” display features 3 backlit colors: green for normal/target blood pressure, yellow for prehypertension and red for stage 1–2 hypertension. Wrist blood pressure monitor shows average of past 3 readings and automatically powers off when finished. 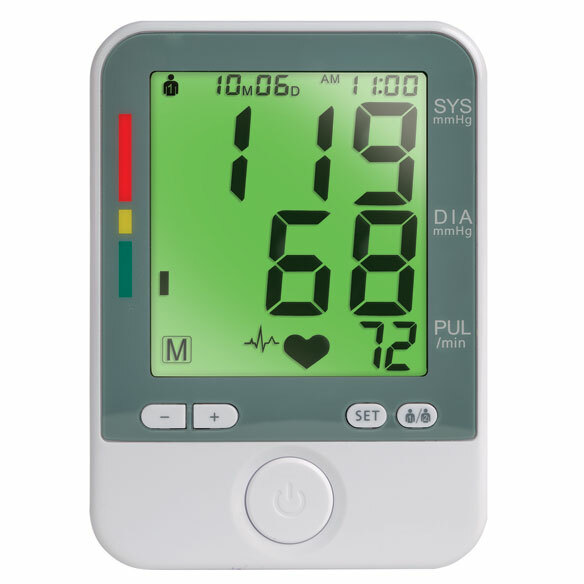 Designed for up to 2 users, it stores up to 90 readings per person, each with time/date stamp. Simple-to-use controls include start/stop, user, memory and setting buttons. Included blood pressure cuff fits arm circumference between 8 2/3” and 12 1/2”. 5” x 4” x 2”. 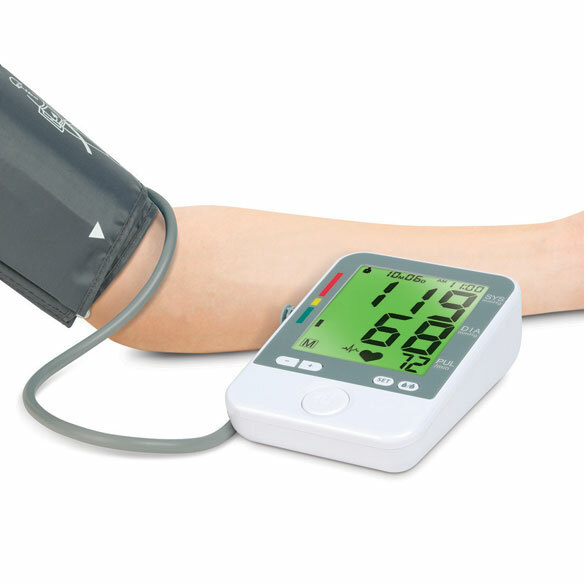 do you sell an extra large blood pressure cuff? BEST ANSWER: Thank you for your question. We do not have any extra blood pressure cuffs. We apologize for any inconvenience.